What do you see when you look into a mirror? Do you like what you see? Are you happy and proud to see your own image there? Do you really like yourself? Or do you only see your physical floors? How different do you think your life would be if you really, really loved yourself? Could you be happier? Could you enjoy life more? Could you do more things, go more places, meet more people, have more friends? Could you feel more confident, more daring, more alive? Could you put more effort into looking after yourself? Who taught you how to love yourself? What did you learn from your parents and teachers as your grew up? How did they treat you? How did they treat themselves? All these relationships show us how to love ourselves and others. They also go a long way toward telling us what we are worth. Were you taught to really value yourself? If not, here’s your chance to change that forever. If you can’t look deeply into your own eyes and say “I Love You” then this coaching package is for you. Love Yourself – Heal Your Life is a 6 week coaching package based on Louise Hay’s powerful Heal Your Life workshop, and is tailored specifically to meet your individual wants and needs. Know yourself better. Uncover the limiting beliefs about yourself that have stopped you from loving yourself fully and freely until now. Love Yourself more. 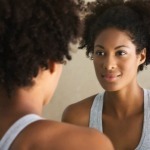 Understand how your past has impacted on the way you feel about yourself today. Believe In Yourself more. Learn new ways to release the past and move confidently into your new future.